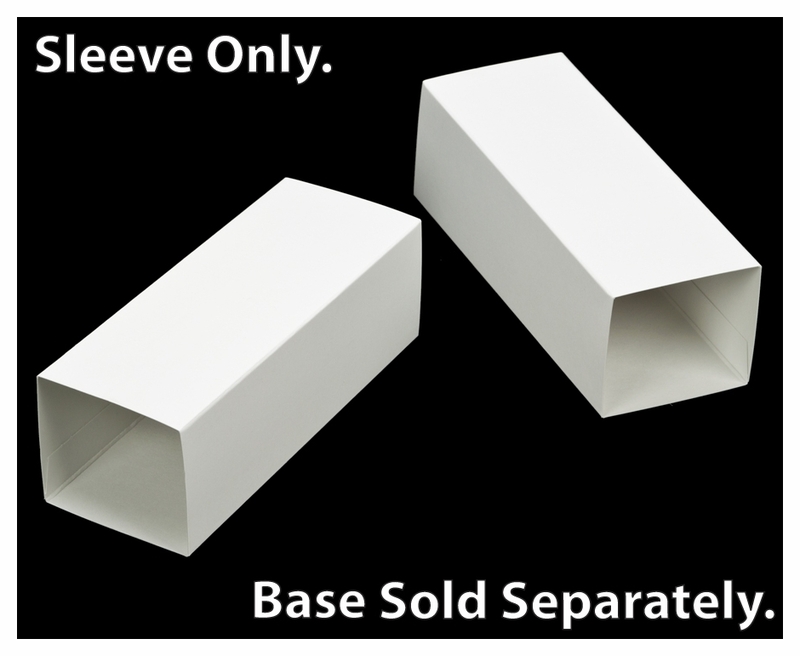 A windowless white sleeve is as versatile as it is simple. 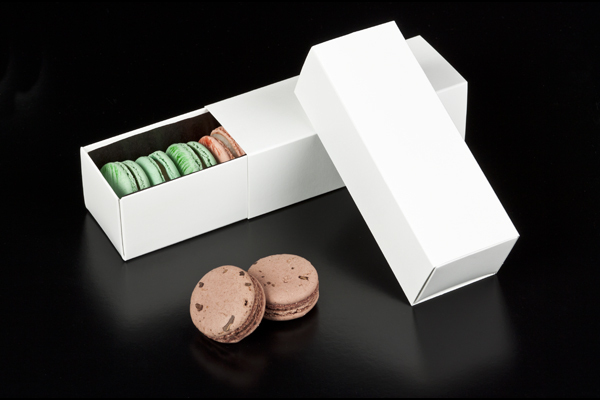 Match this macaron box component with its satin white finish, with any one of the other colored macaron package bases to suit whatever occasion or whim you prefer. 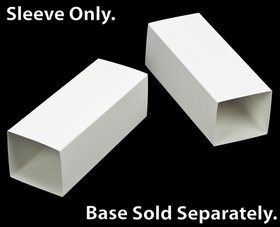 The proportions of this box style strike the eye as sculpture. How might this macaron box be used to showcase your own edible works of art?